Local SEO Tampa offers a full-fledged Google Adwords campaign setup and management service. Our staff of experienced professionals will help to make sure that your dollar goes the farthest and gets you the most value possible. 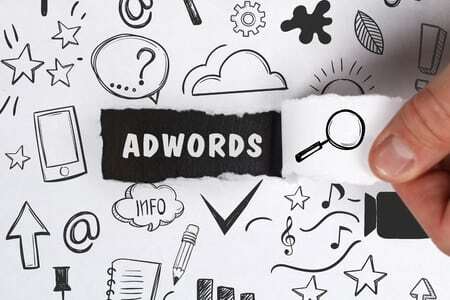 We have extensive experience with Adwords, having created and ran many successful campaigns over the years and in turn allowing our clients to see great returns on their investments in us and the program. Google Adwords can be a great way to drive targeted traffic to your website quickly so that you can focus on what you do best- making sales and taking care of customers. The issue is that the program can be complicated, especially when you consider the competitive dynamics, and so it can take a lot of time and resources- including a large learning curve- to get up-to-speed on running an efficient and strategic campaign which can maximize your results. This is why outsourcing to an experienced team like us makes a lot of sense and why many of our clients continue to come back to us. When it comes to campaign setup we offer services from A to Z. Starting with keyword research, the foundation of any good campaign, we do competitor analysis, copywriting of ads, and even design of landing pages. It is all about the conversions for you in the end and so we make that our goal as well. Once we are set up with something, we follow up with online and phone tracking to keep you informed of exactly how everything is going. Once the setup is complete, we continue to support you throughout the process. We offer bid optimization services and we can manage your budgets as well. Our expert consultants can provide their knowledge to help guide your campaign throughout its lifecycle. Having worked in the space for many years, they have seen countless examples and scenarios with both successful and failing campaigns- if there is something that can be changed for the better, chances are we will not miss it. We can also expand your campaign once it is profitable so that you do not leave any potential sales or conversions on the table and finally we offer comprehensive monthly tracking and analysis, again to make sure that you know exactly what is going on and the results that we are producing. Our clients in the area have consistently rated us highly for our SEO and marketing services and we pride ourselves on making sure that they always come first. We understand that customers are our lifeblood and we will always go the extra step to make sure that we are doing all that we can to maximize what they get from Adwords as well as that we explain everything in a manner that they want. If you are looking for someone who can handle either part of or all of your Adwords needs, please reach out to us today for a free quote.